Research done at The University of Southern Denmark and the Danish Cancer Society and published in December 2017 in the Journal of the American Academy of Dermatology shows a connection between one of the most common medications for hypertension and skin cancer. 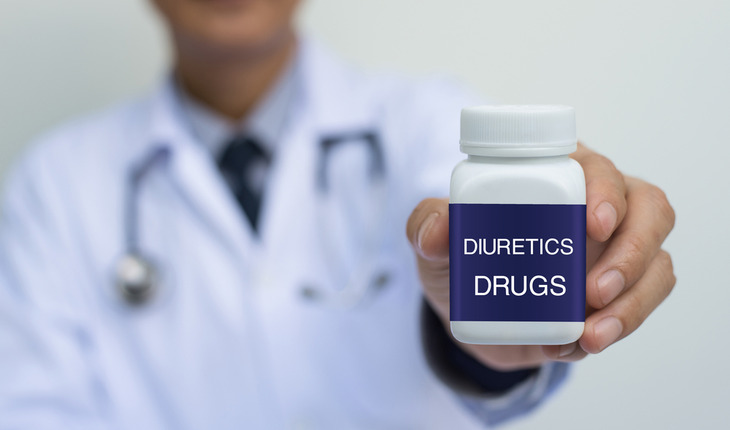 The generic name of the drug, a diuretic commoly called a “water pill”, is hydrochlorothiazide. It is available as a generic and also with several brand names including Microside. A release from the university explains that once again, Danish researchers set their sights on antihypertensive medicine containing hydrochlorothiazide, in relation to an increased risk for skin cancer. The researchers have previously demonstrated that the medicine, which is one of the most commonly used drugs world-wide, can increase the risk of lip cancer. Hydrochlorothiazide is one of the most commonly used medicines to reduce blood pressure both in the US, where over ten million people use the drug annually, and in Western Europe. The side effects can therefore affect numerous people, and the researchers have calculated that about 10 percent of all Danish cases of squamous cell carcinoma may be caused by hydrochlorothiazide. Hydrochlorothiazide is a frequently used drug to treat hypertension, which is typically used in combination with other antihypertensive medicines. The drug was also previously used for water retention (oedema) and heart problems. Only medicines containing hydrochlorothiazide have been found to increase the risk of cancer. Certain other drugs contain “hydrochlor”, which is not chemically related to hydrochlorothiazide and does not increase the risk of skin cancer. When hydrochlorothiazide induces cancer, this is because hydrochlorothiazide belongs to a group of drugs with a so-called photosensitising effect. This means that hydrochlorothiazide enhances the harmful effects of sunlight in the skin and lips, and this can increase the risk of skin cancer. Hydrochlorothiazide increased the risk of basal cell carcinoma, which is the least serious type of skin cancer, as well as of squamous cell carcinoma, which is more aggressive and in some cases manages to spread to other parts of the body. The risk of skin cancer increases the more hydrochlorothiazide you have taken throughout your lifetime, and the risk of squamous cell carcinoma was up to seven times greater for people who had taken hydrochlorothiazide in an amount corresponding to >10 years’ use. The new research was carried out in a collaboration between researchers from the University of Southern Denmark, the Danish Cancer Society, Odense University Hospital, Aarhus University Hospital, Copenhagen University, and Herlev-Gentofte Hospital. The project is funded by the Danish Cancer Society and the Danish Council for Independent Research.